Project Goal: To monitor and protect the breeding population of piping plovers (Charadrius melodus) along the New Hampshire Seacoast, as well as their habitat. Timeline: Before the Migratory Bird Treaty Act of 1918, unregulated hunting caused the decline of the Atlantic Coast population of piping plovers. Since the 1940s, piping plovers have steadily declined due to increased coastal development resulting in habitat loss and degradation, human disturbance, and predation all along the Atlantic coast. Piping plovers were believed to be absent from New Hampshire for several years until they were discovered nesting again in 1996 by a jogger running on the beach. 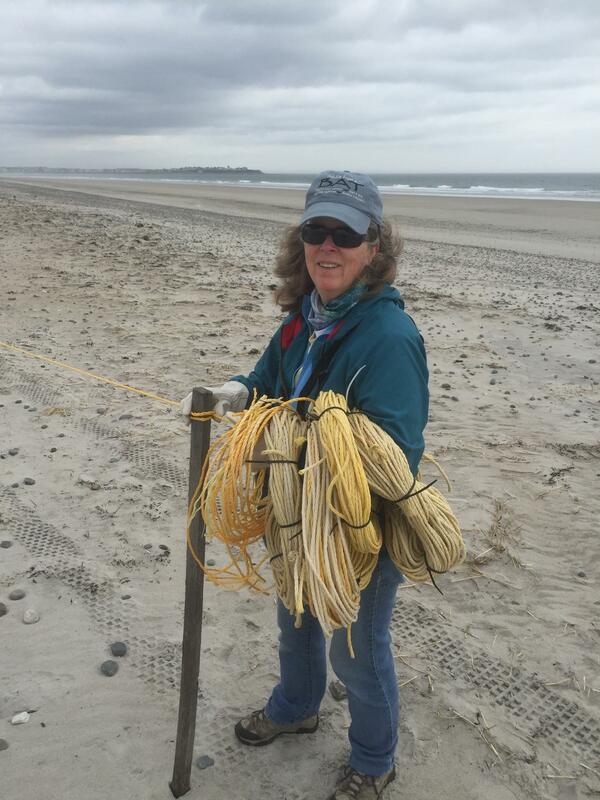 In 1997 the NH Fish and Game's Nongame and Endangered Wildlife Program began working to monitor and protect breeding piping plovers and their habitat. Description: Each spring, from late March to early April, Nongame Program staff erects fencing along the sandy dunes at Hampton and Seabrook beaches to coincide with the annual return of piping plovers to their breeding grounds. The fence consists of wooden stakes and galvanized metal T-posts pounded into the sand with yellow nylon rope strung along the posts. "Area Closed" signs attached to the fence inform the public of the habitat protection and its importance to piping plovers. A Piping Plover Monitor works full time during the breeding season to monitor nesting plovers, coordinate beach management activities such as beach raking and cleaning, and facilitate public awareness about the protection of the birds and their habitat. When a piping plover nest is located, the plover monitor, together with 2 or 3 volunteers erects an "exclosure" around the nest. This circular fence keeps predators away from the nest (excludes) yet allows piping plovers the ability to walk in and out through small squares in the fencing. Mesh netting is placed over the top of the exclosure to prevent avian predators (gulls and crows) from destroying the nests. Once the chicks hatch, the plover monitor (with the assistance of volunteers) conducts daily counts of the chicks while informing and educating beachgoers of the protection efforts. The symbolic fencing is removed at the end of the breeding season each year usually between late July and mid-August after the last piping plover chicks have fledged (are able to fly). Funding: Private donations have provided the foundation for the Nongame and Endangered Wildlife Program since its inception in 1988. Contributions support the on-the-ground work and also enable the Nongame Program to qualify for additional funding through grants from both the State of New Hampshire and the U.S. Fish and Wildlife Service. Donations made to the Nongame Program are matched dollar-for-dollar by the State of New Hampshire up to $50,000 annually. Please help keep this project going by donating to the Nongame and Endangered Wildlife Program. The Nongame Program also receives a portion of proceeds from the sale of the NH Conservation License plate (moose plate) each year. To learn more please visit the NH Moose Plate Program online at mooseplate.com. 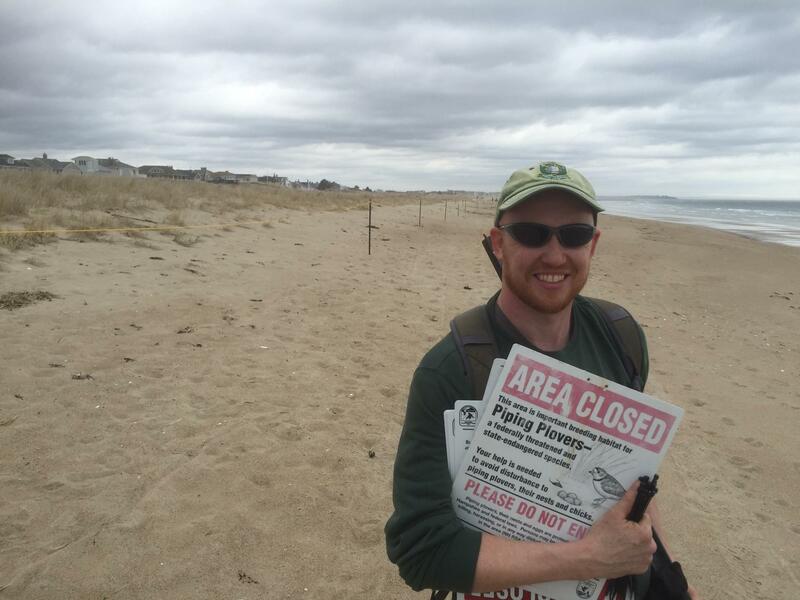 Volunteering: Volunteers are needed to help monitor adult piping plovers, their nests and chicks on Hampton and Seabrook beaches. Volunteers may also interact with beach-goers to answer questions and make them aware of the plover's presence. 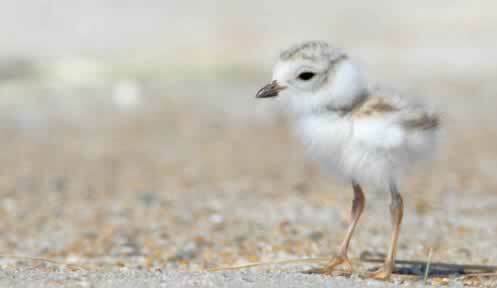 The need is greatest after the plover chicks begin to hatch, around Memorial Day. Anyone interested in volunteering can contact the NH Fish and Game Piping Plover Monitor at (603) 419-9728. For more information on volunteering contact the NH Fish and Game Wildlife Division at (603) 271-2461 or wildlife@wildlife.nh.gov.